No one can keep up with everything, so let us do it for you. We’ll gather the top Smithsonian stories from across the country and around the world each week so you’ll never be at a loss for conversation around the water cooler. This week, we pondered the inspiration to create art…and other stuff. In Washington, D.C., the Hirshhorn Museum and Sculpture Garden is receiving a modern-day makeover. Today, the art museum’s board of trustees announced that artist Hiroshi Sugimoto will renovate and redesign its postmodern garden by architect Gordon Bunshaft. Sugimoto transformed the lobby of the 1974 museum with his architectural practice New Material Research Laboratory (NMRL) last spring, reinventing it as a light-filled public space for visitors and tourists to the city. Now he will bring a similar approach to the museum’s sculpture garden, altering its entrance on the National Mall and reinstating an underground passage connecting it to the museum. This original element of Bunshaft’s design has been closed for 30 years. Read more from Architectural Digest. Pepper’s mission – to spice things up. This is the droid you’ve been looking for. Modern art can be daunting. The prospect of bringing your family with kids to a cathedral of contemporary art can be, challenging. But as spring arrives and attendance soars at the Smithsonian museums, there’s an android who sparks joy, and dare we say, humanizes, a highbrow day at the Hirshhorn Museum and Sculpture Garden. Read more from WUSA9. 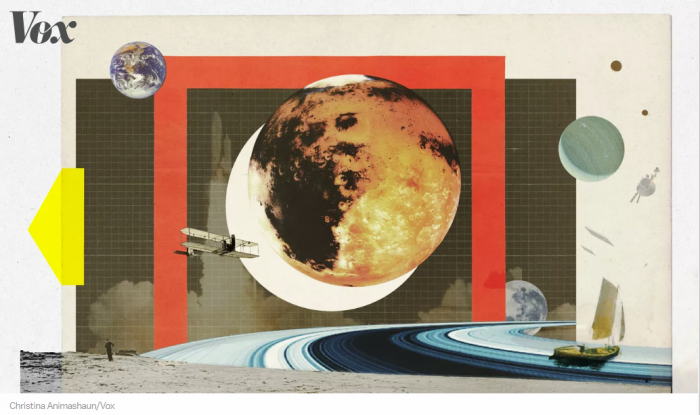 NASA’s former chief scientist explains why we should dream even bigger on Today, Explained. After President Donald Trump revealed his budget proposal Monday, NASA had a forward-looking event of its own. The agency plans to build a space station orbiting the moon, send humans back to the moon by 2028, and eventually send them all the way to Mars. NASA has been exploring Mars for decades with rovers, but Ellen Stofan, the director of the National Air and Space Museum and the former chief scientist of NASA, says that the only way to fully explore Mars is to send humans. We talked with Stofan on the latest episode of Today, Explained, where she discusses NASA’s strategy on Mars, its relationship with Elon Musk, and its dreams of far-away space exploration. Read more from Vox and listen to the podcast. 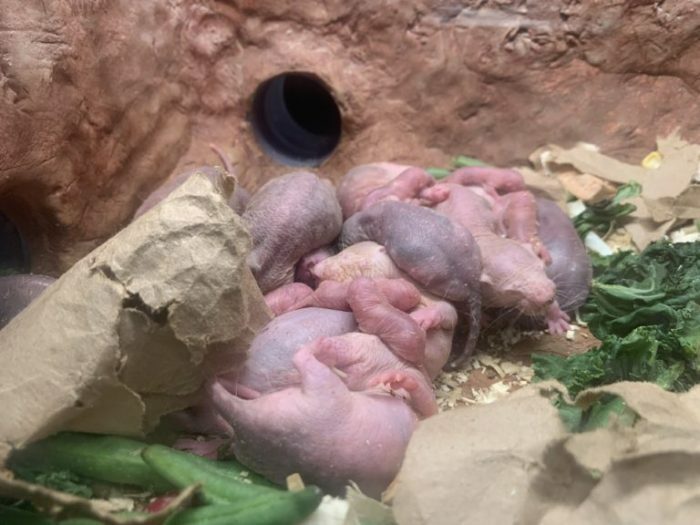 Over the weekend, Washington, D.C. received news from the kingdom in the Small Mammal House at the National Zoo: Her majesty the naked mole-rat queen has given birth to a litter of eight new pups, solidifying her place as the colony’s one true ruler. Zoo staff found a few new pups in the chambers on Saturday, and the queen continued giving birth throughout the day and night, says zoo spokesperson Devin Murphy (the zoo’s initial tweet said the queen had seven pups, but turns out Her Majesty had another one left to go). She gave birth to nine pups in all, but one of them was either stillborn or died shortly after birth, Murphy says. Read more from DCist. 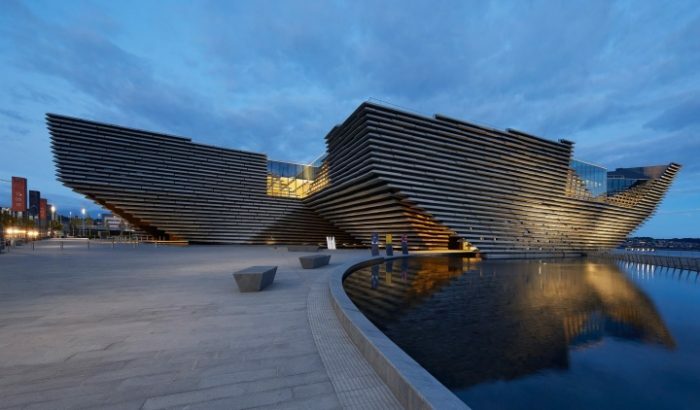 In an article published by The Scotsman earlier today, Scottish politicians condemned the Victoria & Albert Museum’s Dundee branch for accepting a £500,000 (~$657,000) grant from the Sackler Trust. Trump superfan Julian Raven has been locked in a years-long battle to force the gallery to put up his work. He thinks he might even get a hearing before the Supreme Court. 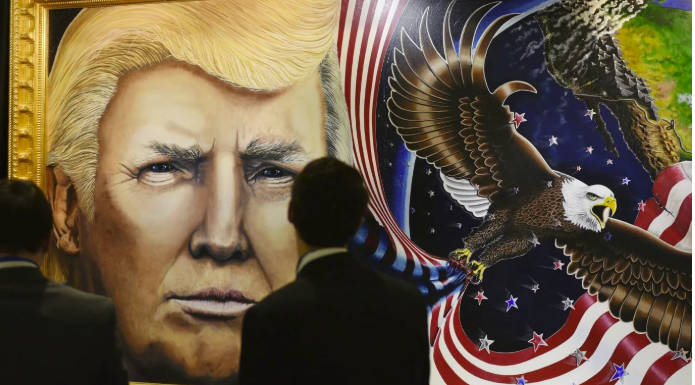 The artist behind a gigantic painting of Donald Trump has been locked for years in a legal battle to get his piece of art a spot in a Smithsonian museum. Julian Raven and his huge, eight-foot tall, 16-foot wide painting of Trump, “Unafraid & Unashamed,” was the aesthetic highpoint of last month’s Conservative Political Action Conference, after he displayed it at the annual conservative confab. Countless CPAC attendees posed for pictures with Raven’s giant Trump head, which he painted posed next to a falling American flag that’s being rescued by a bald eagle while flying in space. Read more from the Daily Beast. The Vietnam War transformed America. The heavy losses and horrifying images — beamed right into people’s living rooms, via television — caused many U.S. citizens to challenge institutions, politicians and cultural norms like never before. 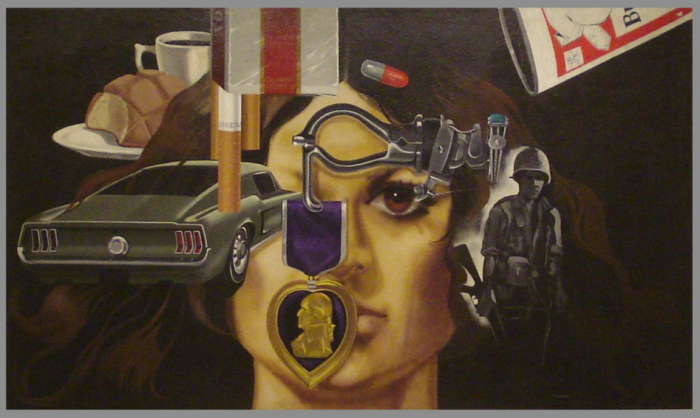 The war also sparked a sea change in American art, says Melissa Ho, curator of “Artists Respond: American Art and the Vietnam War, 1965-1975,” which opens Friday at the Smithsonian American Art Museum. “It’s this moment of national reckoning,” Ho says. “And if you’re an artist, maybe you can’t help but think, ‘Is my work supposed to remain separate and elevated from the world I live in as a human being, or should it engage with that?’” Read more from the Washington Post. 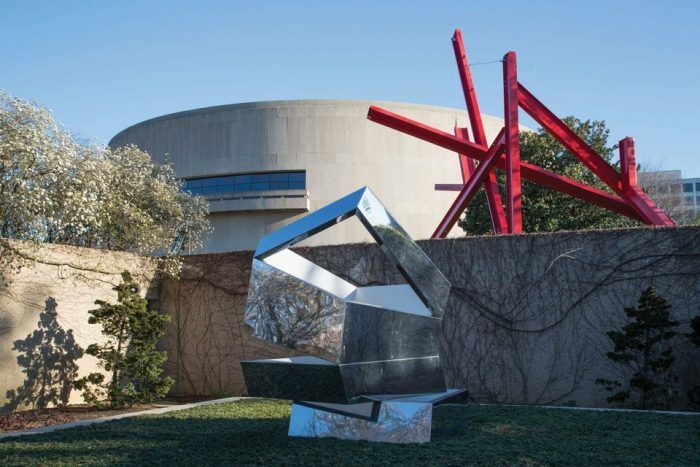 This week, trustees of the Hirshhorn Museum and Sculpture Garden in Washington announced the approval of a plan to redesign its sculpture garden, which has not been renovated since 1981. The need to address infrastructure issues like flood control has created “an opportunity to re-envision the space to meet the changing needs of visitors and artists working today”, says a Hirshhorn spokeswoman. 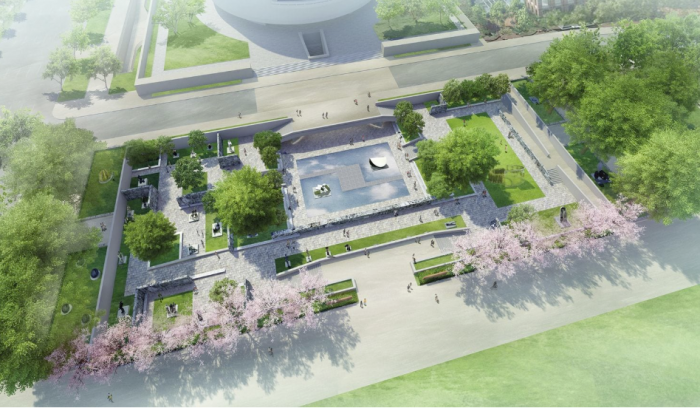 An early concept by the Japanese artist and architect Hiroshi Sugimoto—whose work was the subject of a major retrospective at the Hirshhorn in 2006 and who redesigned the museum’s lobby last year—will provide what the board chair Dan Sallick calls a museum “front door” on the National Mall in a release. The design “[makes] the garden more accessible to the National Mall”, the spokeswoman says, to become a “vibrant public gathering space” for DC locals and visitors alike. Read more from the Art Newspaper. International Women’s Day has been celebrated since 1911, but it wasn’t until 1987 that March was declared Women’s History Month. It first started with a petition by the National Women’s History Project, a not-for-profit in California that wanted to “write women back into history”. In the spirit of their efforts to educate and celebrate the work of women, there is more than just educational seminars, conferences and concerts to celebrate women’s work – there are also exhibitions to highlight the best living artists today and those who have come before us. From Los Angeles to Boston, Chicago and New York, here are some of the female art exhibitions which tie into women’s history, many of which look to the past to reflect upon the present. Read more from the Guardian. 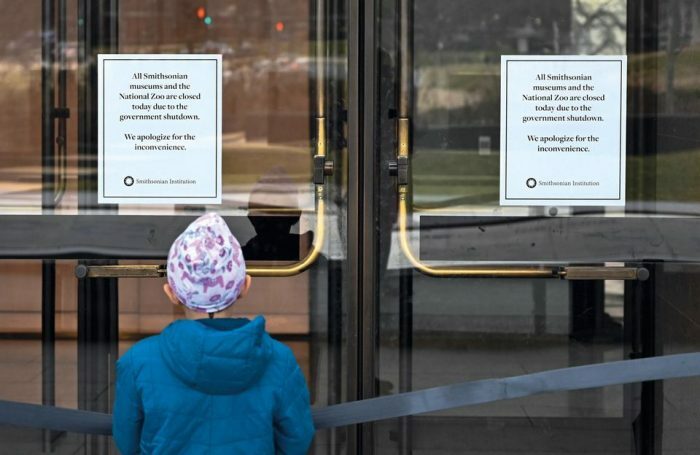 As the prospect of a second US government shutdown loomed in February, federally-funded museums scrambled to get back on track after their longest closure ever. The 35-day partial government shutdown from 22 December until 25 January not only left major venues in Washington, DC, and New York shuttered for almost all of January, but also disrupted finances, operations and exhibition schedules, with effects to last for months and even years in some cases, and millions of dollars of revenue lost. Although leftover funds from the 2018 fiscal year enabled all federal museums to stay open for 11 days during the shutdown, coinciding with the busy holiday period, Smithsonian Institution museums and the National Gallery of Art (NGA) went dark for 27 days and 26 days respectively, reopening only on 29 January. Read more from The Art Newspaper. 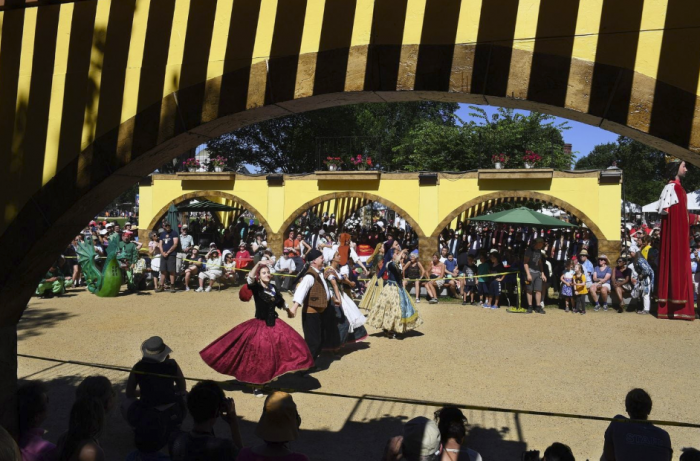 The Smithsonian Institution has canceled this summer’s 10-day Folklife Festival celebrating the music and culture of Benin and Brazil and will replace it with a smaller event. January’s government shutdown is partly to blame. The partial government shutdown lasted 35 days, from Dec. 22 through Jan. 25. The Smithsonian used reserve funds to remain open through December, one of its busiest weeks. When it closed Jan. 2, its federal employees were furloughed and not permitted to work. Read more from The Washington Post. 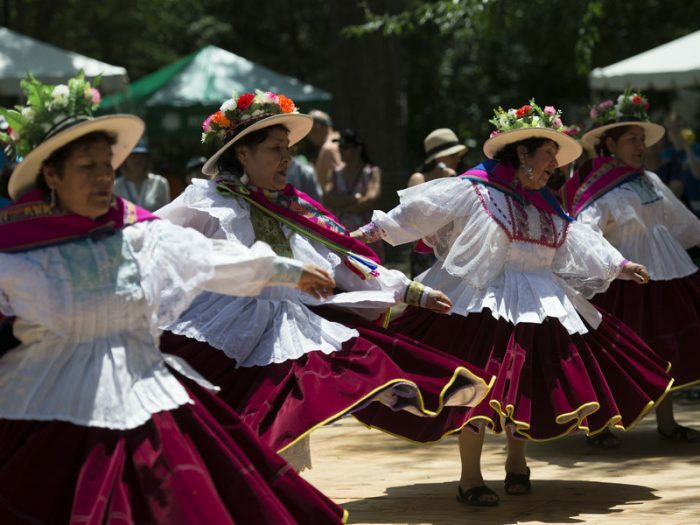 Peruvian dancers perform at the Smithsonian Folklife Festival in Washington, D.C., in 2015. This year’s festival will shrink from 10 days to just two, in part as a result of the partial government shutdown. If you’re thinking of attending the Smithsonian Institution’s Folklife Festival in Washington, D.C., this year, plan for June 29 and 30. Those are the new dates for the Smithsonian’s annual celebration, which will shrink from 10 days to just two this summer, in part because of the partial government shutdown, according to the festival’s director. The shortened festival on the National Mall will still focus on the social power of music, this year’s Smithsonian-wide theme. But the extended programming that would have celebrated the cultures of Benin, Brazil and other countries has been postponed to 2020, Motley says.Read more from NPR. Alex di Giovanni has been editing The Torch since August 2006. 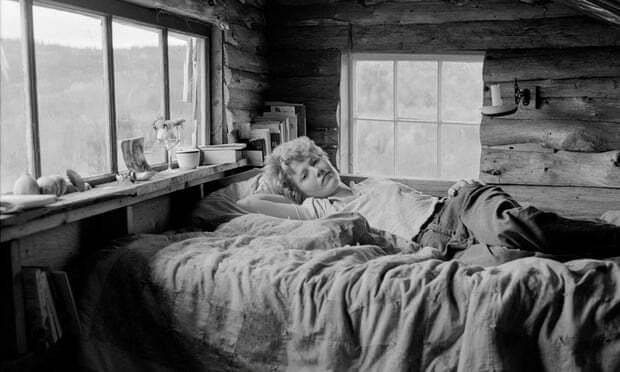 Prior to joining the Smithsonian, she worked as a writer and editor for the National Geographic Society, Plexus Scientific, The Nature Conservancy, The National Foreign Language Center and St. Martin’s Press, among others. She has the best job in the world.